Marble weighs a ton! It is very hard to optimize our shipping settings to work for both small and large size orders. So for this reason, we have only allowed our website to calculate the shipping cost of orders up to 500 lbs. For all order larger than 550 lbs, please contact us so we can quote you the correct shipping price. If you are placing an order after hours, you can still send your order to us without payment and we will get in touch with you to let you know the shipping cost. If you are okay with the shipping cost, we will process your order and take your payment. We encourage our customers shopping online to order as soon as possible to avoid the possibility of late delivery. Bad weather can cause delays and there is nothing either FedEx or Mosaic Tile Direct can do about this. Use the information below to help determine your shipping needs.Here are a couple of important factors to consider when placing your order and calculating when it will arrive. Mosaic Tile Direct is located just outside of New York City in Newark, NJ and our zip code is 07114. 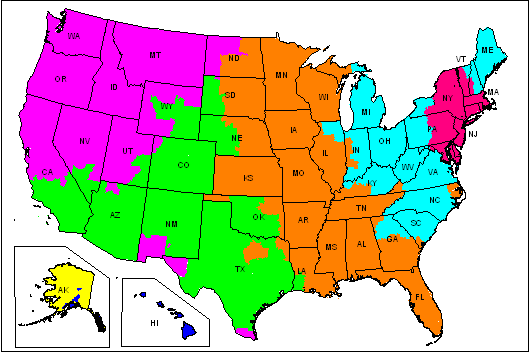 Use the FedEx Time-In-Transit Chart on this page or use our zip code on www.fedex.com to calculate your time-in-transit. In most cases, Your order ships same business day if you place it before 2 pm EST (Friday after 2 pm ships on Monday) with some exceptions defined below. FedEx does not guarantee late delivery that is caused by bad weather. The day you place your order, weekends, holidays, and FEDEX non-delivery days do not count as time-in-transit days. We use FEDEX most of the services they offer. We also offer USPS Priority Mail for addresses that FedEx cannot deliver to such as post office boxes. You can select your shipping method when completing the online order form. Orders normally ship next business day. For calculating delivery, in-transit time starts the day after your order is shipped and is based on business days (M-F)only. We gladly ships to APO and FPO addresses. We ship to most "Safe Countries" and we use FEDEX for most international orders. Except for Standard FEDEX to Canada, the shipping amount does not include taxes, duty, and brokerage. These additional costs vary by country and it is the responsibility of the customer to pay any applicable fees upon delivery. You will receive an email with tracking information the evening your order ships. From this email you can track the status of your order. Orders shipped by USPS Priority Mail will not receive a tracking number.